During an in vitro fertilization (IVF) procedure, a woman may have additional embryos that are not required for the transfer process. She may want to freeze these embryos for later use in a process known as cryopreservation. 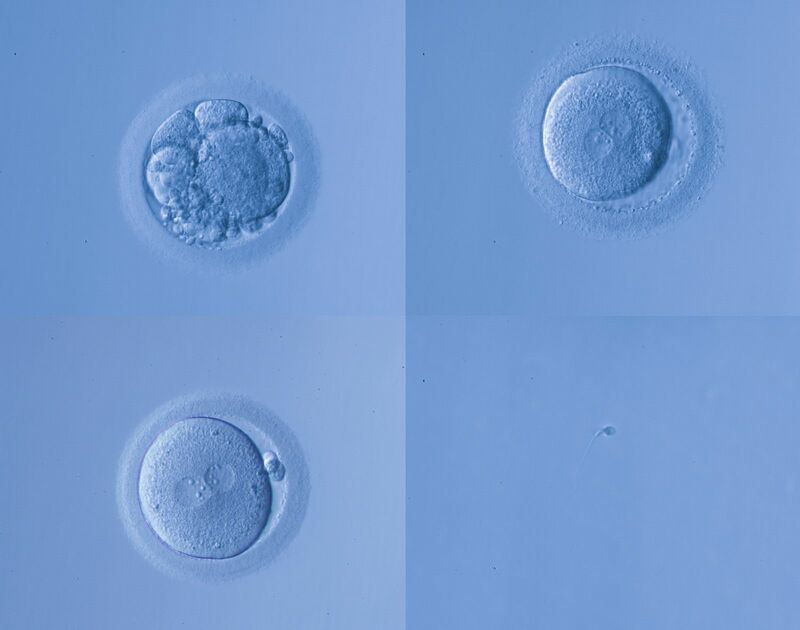 These embryos can be thawed at a later date, transferred, and brought to full term. Many women who consider this option for fertility preservation wonder if the quality of the embryos will be affected by the freezing and thawing process. The team at our Lubbock, TX fertility clinic would like to go over these concerns about embryo quality, hopefully answering any questions you may have. During cryopreservation, eggs or embryos are frozen at extremely low temperatures. This freezing process prevents the breakdown of the cells, which means that the eggs and embryos will remain viable for years after the freezing takes place. Using these embryos will require a careful thawing process, after which time the embryo will be transferred to the uterus. This process circumvents the need for follicle stimulation and fertilization. How Long Will Embryos Last? To date, is record of a 13-year-old frozen embryo being thawed and resulting in a healthy baby being born. That said, generally most fertility specialists will recommend embryos only remain preserved for about 5 or so years. This is just to ensure the best result possible. Since fertility specialists only preserve high-quality eggs and embryos, the effectiveness of the process is relative high. Pregnancy and live birth rates for IVF performed with frozen embryos is comparable to pregnancy and live birth rates using fresh embryos. There is scientific evidence to back up our anecdotal experience. According to a study published in the September 2017 issue of the journal Fertility and Sterility, the implantation and live birth rates of frozen embryos were comparable to the rates achieved with fresh eggs and embryos. For fresh embryos, the implantation rate was 51.6 percent and the live birth rate was 53.4 percent. For frozen embryos, the implantation rate was 49.4 percent and the live birth rate was 52 percent. While there is a slight difference of less than 2 percent, the numbers demonstrate the viability go fertility preservation. Embryo preservation is not always going to be an ideal option for patients. Sometimes women have no need to hold on to viable embryos; in these cases, a woman may not with to have other children, for instance. Yet if you think having more children is in your future, freezing is a good option to keep in mind. During your visit with our practice, we can go over these matters with you in greater detail. By discussing the benefits and risks of fertility preservation techniques, you can make the most ideal decision that suits your needs. For more information about cryopreservation and if its an ideal option for your needs, be sure to contact the Centre for Reproductive Medicine. We will help you make the best decisions given your current situation.